?? ?3 Ways to Passivley Participate in Today?? ?s Real Estate Market??? is an educational report meant for a service to our website visitors. This report is a quick read and you can educate yourself on today?? ?s real estate market. Also, this report will acquaint you on how today?? ?s people are participating in a historical buyers market in a passive fashion. Although this report is comprehensive but after reading this, if you wish to learn more, it is best to find a reputable real estate investment firm nearby. You can have a detailed conversation with them or you can even contact us for further information. 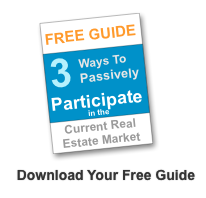 We will happily educate you on 3 types of passive or semi-passive ways to participate in today’s real estate market. The people who have subscribed to us, check your email for more resources and information. However, if you would like to chat with us and learn about our company Wholesale Houses Fla, then give us a call and we will always be at your service. *Note: This report should not be taken as a legal advice because we are not attorneys or CPA???s. This report is solely comprised for providing information and for your specific situation and goals, it is best to contact your legal advisors.